(‘Doc Jenni’) is an Occupational Medicine physician who has recently relocated to Vermont from her home state of Michigan to be near her sisters and mother here in Vermont, and nearer to her children who live in Brooklyn, NY. She trained as Medical Doctor at the University of Minnesota and completed her Master’s in Public Health and residency training at the University of Michigan. She has over 30 years’ experience in Occupational Medicine and Urgent Care and spent 10 years working in Student Health at Michigan State University. She is a member of the American College of Occupational and Environmental Medicine (ACOEM) and the Experimental Aircraft Association ( EAA), and has volunteered many summers in the medical clinics at OshKosh. Her hobbies include hiking, biking, kayaking, skiing, flying, knitting and finding four leaf clovers which she laminates and hands out to patient who have laceration repairs for, “better luck next time”. Beth Schiller was originally trained as an engineer and worked as a healthcare information consultant for more then 20 years. She wanted to take care of patients instead of creating and implementing software solutions for clinicians. Beth enrolled at the University of Vermont in 2011 in a Masters Entry Nurse Practitioner Program and completed a Masters In Nursing in December 2014. Her hobbies include flying as an instrument pilot, sailing, skiing and bicycling. Molly Somaini is a Physician Assistant who trained at Massachusetts College of Pharmacy and Health Sciences in Boston following undergraduate work at University of Vermont. 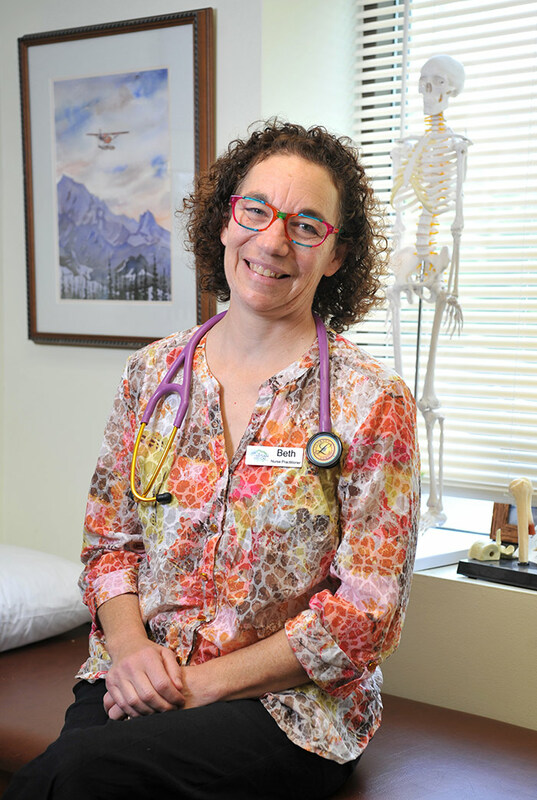 She has practiced in Vermont since 2009, with experience in Primary Care, Urgent Care, and Occupational Health. Molly spends her free time with her family and two young children.